The Department of Agriculture and Food received a report via the MyPestGuide Reporter app in April 2017 of an insect which has been identified as Sycamore lace bug Corythucha ciliata. This is the first time it has been detected in Western Australia. 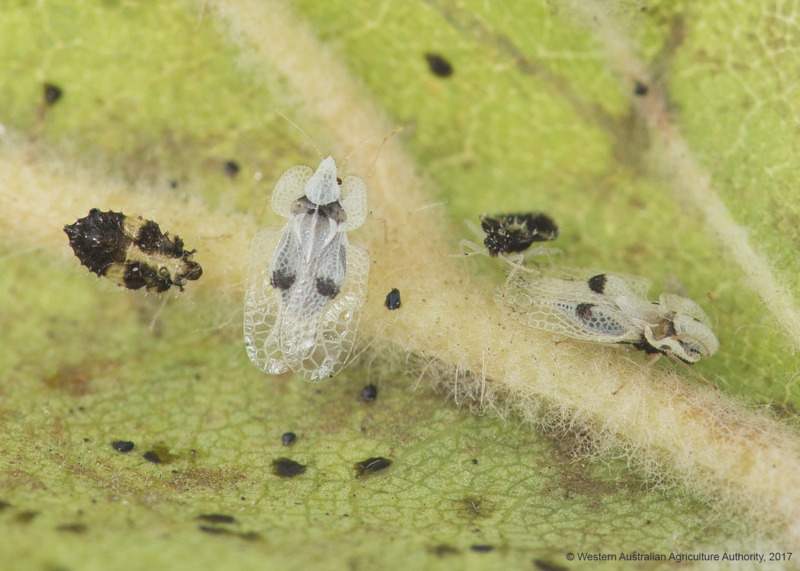 Adult Sycamore lace bugs are approximately 3mm long and white in colour. They have a lace-like pattern on their wings, head and thorax. Immature nymphs are smaller than adults and have light and dark bands or patches on their body. The Sycamore lace bug affects amenity trees such as sycamore or plane trees, which are planted as ornamental trees in gardens and along street verges. Sycamore lace bugs feed on the undersides of the leaves, initially causing a white stippling that can progress to bronzed foliage and premature senescence of leaves. In cases of severe infestations, especially if the trees are water-stressed, they may be defoliated. 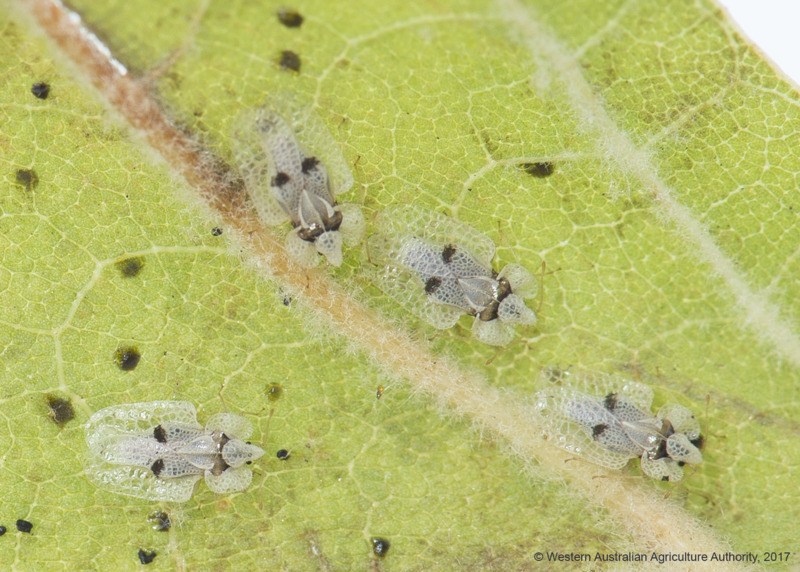 Sycamore lace bug is not a significant pest for agriculture production and is present in other parts of Australia. 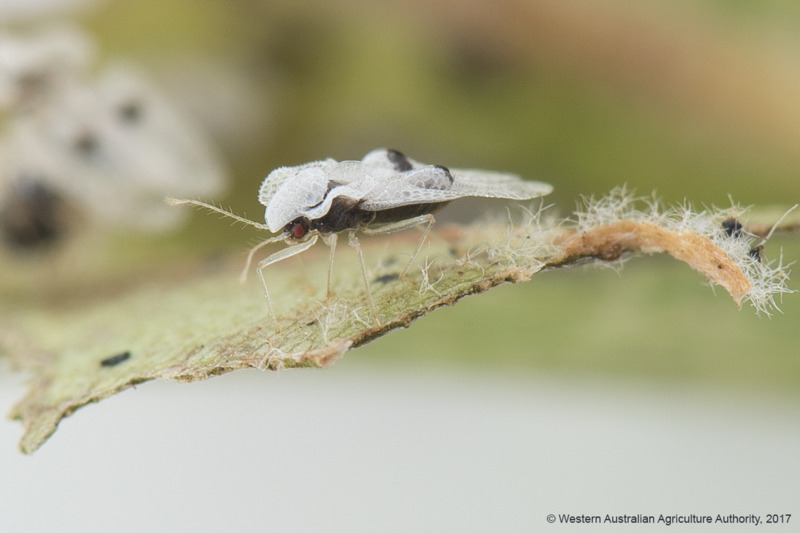 A variety of insecticides and application methods for Sycamore lace bug are available on the Australian Pesticides and Veterinary Medicines Authority website. Any suspected sightings of Sycamore lace bug can be reported to the department’s Pest and Disease Information Service on freecall 1800 084 881 or use the department’s free MyPestGuide Reporter app.